If asthma is not treated well, the asthma attacks can become more frequent. Shortness of breath, whistling breath sounds, coughing, tightness of the chest: most people with chronic asthma always have to deal with these typical symptoms . But even if they have no complaints, the disease is active and therapy is important: if asthma is not treated well, the asthma attacks can become more frequent, the physical fitness and the quality of life decrease. With the help of certain medications and supportive measures such as regular exercise , it is usually possible to control even severe asthma well. A prerequisite for this is to understand your own illness and its treatment well. There are two types of medication used to treat asthma: on-demand and long-term medication. On-demand medications work quickly and are used to treat acute complaints. Long-acting drugs have a longer lasting effect, are taken regularly and are designed to keep the asthma under control. Which medications are available for asthma? Necessary medications ( reliever): These drugs widen the airways quickly and relieve acute symptoms. They help with an acute asthma attack, but can also be used as a precaution against physical exertion, for example. In mild asthma , this treatment may be sufficient. Continuous Drugs (Controllers): These medications reduce the inflammatory readiness of the bronchi and prevent long term asthma distress. Long-term drugs usually contain cortisone and are used regularly every day – even if there are no acute complaints. 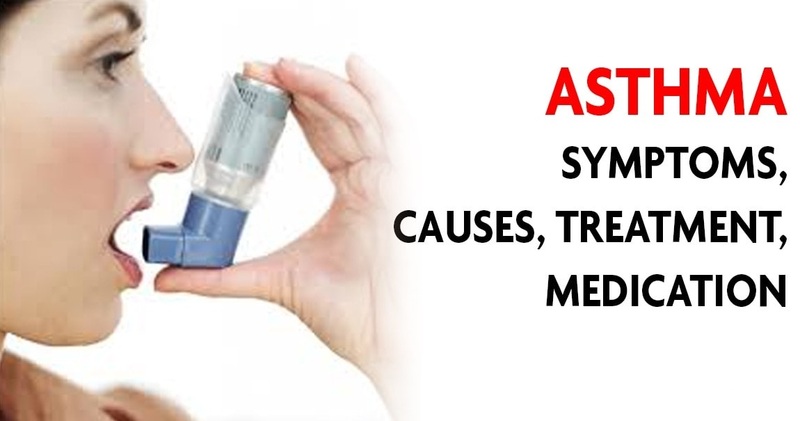 To live well with the disease long term, it is usually not sufficient to treat only the asthma attacks. That’s why people with more severe asthma regularly use long-term medication, regardless of the condition. How the drugs are dosed and used depends mainly on the frequency and severity of the symptoms. The spectrum ranges from occasional mild discomforts, where on-demand medications suffice, to severe persistent asthma , which requires sustained drug therapy . Possible forms of therapy are sprays, powder inhalations, tablets and, in the case of severe attacks, spraying. Depending on the severity of the symptoms, medications are also combined. Some preparations are prescribed in a fixed dose, in others, the dose can and should be adapted to their own needs. In order for the active ingredients to reach the small bronchi , it is important to learn the proper inhalation of a drug. Especially for children, this is sometimes difficult. Therefore, there are a number of inhalation systems that are designed to facilitate the absorption of the drug deep into the respiratory tract. When will medications be used? The short-acting emergency or emergency medications can quickly facilitate breathing. Therefore, they are also called ” Reliever ” (from the word “relieve”, facilitate). Frequently used agents of this group contain so-called short-acting beta-2-mimetics as active ingredients. They relax the cramped airway muscles and dilate the airways. Such emergency medications are usually used as a spray. In severe asthma attacks, however, it is difficult to breathe adequate amounts of the agents due to the acute narrowing of the airways and increased mucus production. Therefore, in emergency situations drugs must be given directly via syringes or infusions. If it is necessary to take a need medication several times a week, this suggests a poor control of the chronic asthma. Then, long-term medications can help treat the underlying respiratory tract inflammation. Corticosteroids (corticosteroids): Cortisone-containing spays are the most important long-term medications. They can reduce the chronic inflammation and thus prevent the narrowing of the airways and shortness of breath. If the asthma is not well controlled despite the inhalation of cortisone, the dose may be increased. It is also possible to combine different medicines. Beta-2 mimetics : If cortisone is insufficient, a beta-2 mimetic may be added. This extends the airways. However, beta-2 mimetics must be combined with cortisone because they can worsen the symptoms and even cause severe asthma attacks when taken alone. Beta-2 mimetic and corticosteroid can be inhaled separately or together. There are inhalers with which the two drugs can be inhaled at the same time. This form is called a fixed combination. Leukotriene antagonists : These drugs block messenger substances that play a role in the respiratory tract inflammatory response. Leukotriene antagonists do not help as well as cortisone. A combination of a leukotriene antagonist and a cortisone prevents asthma attacks worse than the combination of beta-2-mimetic and cortisone. Different drugs are available in the different drug groups. According to the current knowledge, however, the different agents from a group of drugs work comparably well. The side effects of the treatment depend on the active ingredients, the method of administration and the dosage. Detailed information can be found in the package leaflet of the respective drug. When asthma medicines are inhaled, they usually cause fewer side effects than when taken as a tablet. In mild asthma , the side effects of some medications are sometimes more potent than the potential benefits. In this case, a waiver can be useful. In moderate and severe asthma, however , the consequences of the disease weigh significantly more severe than the long-term side effects of drug therapy . Many people fear long-term side effects from cortisone. With proper selection and application , a long-term treatment usually has no negative effects. In children, there is concern that long-term cortisone treatment may affect growth. However, they hardly do this and if so, only temporarily. Although studies show that children grow a little less quickly in the first year of treatment. In the following years, however, they develop normally. This suggests that they are just as big in adulthood as children with asthma who do not inhale corticosteroids. Nevertheless, these drugs are used in adolescents as a precaution in the smallest possible quantities and if possible only for inhalation. Corticosteroids can cause coughing and hoarseness, as well as increase the risk of fungal infections in the mouth . Therefore, it is recommended to rinse the mouth after inhalation. In older people, cortisone may increase the risk of developing a cataract ( cataract slightly increase). It increases with the amount of the dose and the duration of the application. Long-acting beta-2 mimetics should always be taken only in combination with corticosteroids. There are indications that long-term use of long-acting beta-2 mimetics alone can lead to life-threatening asthma attacks. These remedies are usually well tolerated. Possible side effects include gastrointestinal problems or sleep disorders .